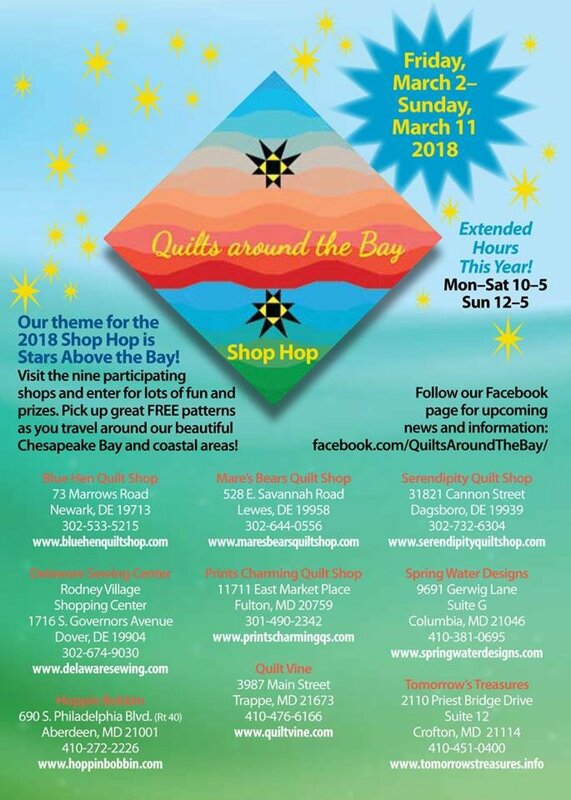 Join us for the second annual Quilts Around the Bay Shop Hop. This is our second year, and this year our theme is "Stars above the Bay!" Come in to each shop during the Hop (March 2-11), pick up each shop's free block pattern, register for prizes, check out each shop's finished quilt in their own custom setting and fabrics (kits available), meet new friends and possibly visit shops you haven't shopped in before!